Stomatological Dis Sci 2017;1:116-22.10.20517/2573-0002.2017.07© The Author(s) 2017. Department of Pediatric Dentistry, Faculty of Dentistry, Cumhuriyet University, 58140 Sivas, Turkey. Mineral trioxide aggregate (MTA) has become a material which attracted attention in vital pulp treatments with its proper biologic characteristics and favorable histological/clinical outcomes[1,2]. However, MTA has some critical disadvantages like the long setting time, high resolution during the setting process, staining potential in dental tissues and is difficult to use despite its favorable properties. New calcium silicate-based cements, including Biodentine®, were developed to overcome these disadvantages. Biodentine® contains tri- and dicalcium silicates as the main material, calcium carbonate as a filler that improves its mechanical properties and zirconium dioxide as a radiopacifier. Its liquid component is composed of distilled water, calcium chloride, and a water-soluble polymer. Calcium chloride acts as an accelerator enabling faster setting of the material. The water-soluble polymer serves to reduce water/cement ratio that increases the material strength. The most important advantages of Biodentine® over MTA include ease of use, high viscosity, short setting time (12 min) and more favorable physical properties. Biodentine® also has more developed antibacterial property and a lower cytotoxic effect. In addition, its microhardness, flexural strength, and compressive strength are higher than those of the other calcium silicate cements and similar to that of dentin. Besides the biocompatibility, bioactivity, and remineralization abilities of pulp capping materials, the bond strength between restorative and pulp capping materials has great importance for the quality of the filling and the success of the restoration. Regular bonding of compomers to pulp capping materials leads to an adhesive bond that can spread stress equally along the whole adhesion site. The current adhesive technologies tend to simplify bonding procedures, shorten clinical application time, reduce technical sensitivity by reducing application steps and thereby provide standardization. Self-etch (SE) adhesive systems were produced in order to eliminate acid etching procedure which is quite a sensitive technique. These adhesives are easier to use compared to multi-step etch-and-rinse (ER) adhesives. Also, they have a faster application procedure and require less technical sensitivity[12,13]. The SE technique enables ease of application and reduces contamination with saliva through reducing procedure steps, particularly in children who are difficult to cooperate[14,15]. A new type of SE adhesive described as “universal”, and “multi-mode” that may be applied both in SE and ER modes has been introduced to the market. Manufacturers reported that the bonding activity was not compromised when both adhesive techniques are used and also these adhesive systems could also be used for selective etching of enamel margins. These adhesive systems may be used in both types so as to enable dentists to apply the most proper adhesive protocol to the prepared cavity. The purpose of this study is to evaluate shear bond strength using four different adhesive systems to Biodentine® which were stored at five different time intervals. Four commercial adhesive systems, Prime&Bond NT™ (PB) (Caulk/Dentsply International Inc., USA), Single Bond Universal (SB) (3M™ ESPE™, USA), All-Bond Universal™ (AB) (Bisco, USA), G-aenial Bond Universal™ (GB) (GC Corporation, Japan) were tested in this study and applied as recommended by the manufacturers. The material used are listed in Table 1. A total of 350 acrylic blocks containing a central hole with a 4-mm diameter and a 2-mm height were prepared. Biodentine® (Septodent, Saint-Maur-des-Fosses Cedex, France) was mixed according to the manufacturer’s instructions and acrylic blocks were filled with Biodentine®[Figure 1]. Then, the specimens were divided into 5 main groups according to waiting periods: group 1, 12 min; group 2, 24 h; group 3, 48 h; group 4, 72 h; and group 5, 96 h. All specimens stored at 37 °C with 100% humidity during the waiting time. Then each main group was divided into 7 subgroups of 10 each: subgroup 1, PB; subgroup 2, SB self-etch mode (SB-SE); subgroup 3, SB etch-and-rinse mode (SB-ER); subgroup 4, AB self-etch mode (AB-SE); subgroup 5, AB etch-and-rinse mode (AB-ER); subgroup 6, GB self-etch mode (GB-SE); subgroup 7, GB etch-and-rinse (GB-ER) mode. In each group, the corresponding adhesive system was applied over Biodentine® according to the group’s manufacturer’s instructions. Following this, a compomer material (Dyract® XP Dentsply DeTrey, Konstanz, Germany) was applied into a cylindrical plastic matrix with an internal diameter of 2 mm and a height of 2 mm. Light curing was administered with a light-emitting diode light curing unit (Elipar™ S 10, 3M ESPE™, St. Paul, MN, USA) with an intensity of 1,200 mW/cm2 for 20 s. This procedure was repeated at 24, 48, 72, and 96 h after mixing an additional 70 samples at each time period, respectively. The polymerized specimens were stored at 100% relative humidity at 37 °C for 24 h. For shear bond strength testing, the specimens were secured in a holder placed on the platen of the testing machine and then sheared with a knife-edge blade on a universal testing machine (LF Plus, LLOYD Instruments, Amatek Inc., UK) at a crosshead speed of 1.0 mm/min. The shear bond strength in MPa was calculated by dividing the peak load at failure with the specimen surface area. The fractured test specimens were examined under a stereomicroscope (Stemi DV4: Carl Zeiss, Gottingen, Germany) at a magnification of 25×. Specimen fractures were classified as follows: cohesive failure exclusively within Biodentine®, cohesive failure exclusively within compomer, the adhesive failure that occurred at the Biodentine®-compomer interface; or mixed failure when two modes of failure happened simultaneously [Figure 2]. Fracture analysis was performed by a single observer who was completely uninformed about the experimental groups. For the scanning electron microscope (SEM) analyses, samples randomly selected from the 12 min and 96 h groups of the failure specimens. The failure surfaces were sputter-coated with gold using a Sputter Coater, and specimens were analyzed with a SEM (Zeiss Evo LS10, Oberkochen, Germany). The significance of the difference between groups with regard to median shear bond strength was analyzed with Mann Whitney U test when there were two independent groups and the with Kruskal-Walis test when there were more than two independent groups. A P level of < 0.05 was accepted as statistically significant. However, Bonferroni correction was done in order to control type 1 error in all potential multi-comparisons. Mean shear bond values and standard deviations are shown in Table 2. The samples stored for 12 min showed statistically significantly lower shear bond values compared to the other time periods, except the PB and AB-SE groups. However, there was no significant difference between specimens stored 24 h, 48 h, 72 h and 96 h.
No statistically significant differences were found between all the adhesive systems at each of the 5 time intervals (12 min, 24 h, 48 h, 72 h and 96 h). In addition, statistically significant differences could not be found between SE and ER modes of universal adhesive systems [Table 2]. Table 3 shows the fracture modes of the experimental groups. In SEM and stereomicroscope analysis while more superficial cohesive failures were observed in Biodentine® in the 12 min groups, deeper cohesive failures were seen in the 96 h groups. Also, the surface failures of specimens stored for 12 min were seen to be more irregular and porous; the surface structure was seen to be more regular and smooth in the 96 h groups [Figure 3]. Biodentine® was put on the market in 2010, and it was recommended to be used as a dentin substitute in addition to its use in indications similar to ProRoot® MTA (e.g. pulp capping, perforation repair, apexification and as root-end filling). 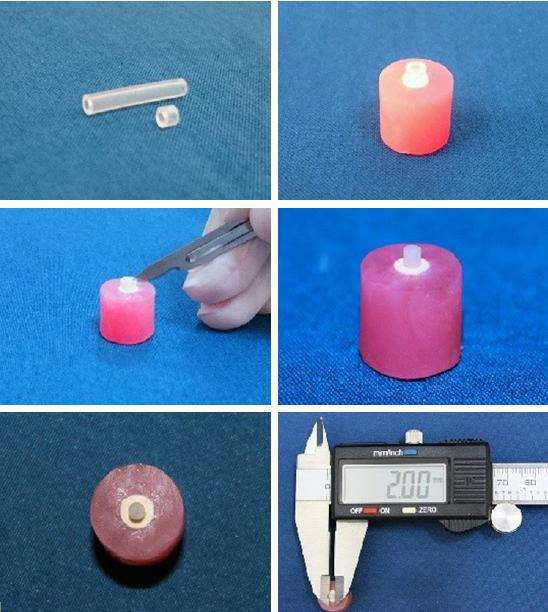 Biodentine® was reported to have more developed mechanical properties than ProRoot® MTA and Angelus® MTA, besides its biocompatibility and short setting time[19,20]. The manufacturer states that setting time of Biodentine® is 12 min and final restoration may be completed in the same appointment. Biodentine® was reported to set in a shorter time than MTA, as its liquid contains calcium chloride and its powder contains calcium carbonate. The role of calcium chloride in shortening setting time may be explained by its accelerating the hydration of the silicates in the powder of Biodentine® and penetrating into the pores, thereby pioneering crystallization. Jang et al. reported the setting time of Biodentine® as 15 min. In another study, the setting time of Biodentine® was reported as 45 min differently from the time reported by the manufacturer. In this study, the minimum storing time was determined to be 12 min for Biodentine® in accordance with the instructions of the manufacturer. A limited number of studies are available in the literature about the bond strength of Biodentine® to resin materials. Odabaş et al. assessed SBS of a composite to Biodentine® in two different time intervals (12 min and 24 h) and found higher SBS values in the 24 h groups. In the present study, a statistically significant difference was observed between 12 min and 24 h groups, and 24 h groups showed higher shear bond values. Hashem et al. compared the microshear bond strength of composite resin to Biodentine® glass ionomer cement and resin modified glass ionomer cementby using early (0.5, 20 min and 24 h) and late (2 weeks, 1 month, and 6 months) aging. They reported a statistically significant increase in the microshear values of late aging groups compared to early aging groups and the highest microshear values were reported in 24 h group. Kaup et al. reported a significant increase in the shear bond values of Biodentine® to permanent tooth dentin between 2 days and 1 week storage times. They reported that this result might be explained by the fact that the setting reaction of calcium silicate cement may continue for more than 1 month. Atabek et al. evaluated the shear bond strength of a composite to white MTA with different time intervals (4, 24, 48, 72 and 96 h) and recommended postponing the restorative procedures for 96 h after mixing MTA to achieve optimal physical properties. In our study, the specimens were stored for 12 min, 24 h, 48 h, 72 h and 96 h and a statistically significant difference was found between 12 min and the other storage times. Differently from MTA, the statistical results of our study support that 24 h of storage time is sufficient for resin-based restoration placed onto Biodentine®. Mean SBS values varied between 9.39 and 15.74 MPa in our study. Altunsoy et al. reported that the SBSs of X-tra base and Vertise Flow to Biodentine® were 1.69 and 1.2 MPa respectively, which is much lower than our results. In this study, the lowest value was observed in the 12 min PB group, and the maximum value was observed in the 24 h GB-SE group. The highest bond strength values were obtained with the GB group, although the values were statistically insignificant. This result may be associated with GB’s containing acetone as a solvent which has a higher vapor pressure. Acetone may be easily removed from the adhesion surface and may provide higher bond strength by facilitating monomer diffusion due to its high vapor pressure. Lower shear bond strength was detected in groups with PB, another acetone-containing adhesive system, compared to the other groups. We note that high molecular weight monomers like urethane dimethacrylate and dipenta erythritol penta acrylate monophosphate in composition of PB have led to a decrease in bond strength values through reducing the diffusion capacity of the adhesive. Applying adhesive systems in either SE or ER was seen not to have a statistically significant effect on bond strength in the present study. This result is similar to the results of the study of Hanabusa et al., Marchesi et al., and Chen et al., who also reported that using SE or ER technique does not statistically significantly influence bond strength. Hashem et al. reported that similar bond strength values between SE and ER modes might be due to the porous structure of the Biodentine® surface, which may have eliminated the difference between SE and ER techniques. In addition, Biodentine® which has alkaline properties may reduce the effect of bonding techniques by buffering their acidity. In the present study, the most of the specimens exhibited cohesive failure in Biodentine®. The least common of the observed types of failure was adhesive. This result reflects the inner cohesion power of the cohesive rather than the real interfacial bond strength of the adhesive resin and the material. Cohesive failures in restorative material or dentin may be due to the low internal resistance of the material or the bond strength being greater than the material’s internal resistance. In SEM and stereomicroscope images, while more superficial cohesive failures are observed within Biodentine® in 12 min groups [Figure 2A], deeper cohesive failures were seen in 96 h groups [Figure 2B]. It may be suggested that the superficial failure in 12 min groups may result from polymerization shrinkage of the compomer placed on Biodentine®. The curing contraction of the compomer may lead to stresses, resulting in premature failures in weak Biodentine® which is in early sensitive phase. This finding should be addressed carefully, as it may affect decisions to immediately place the restoration on Biodentine®. In conclusion, based on the data of this study, it may be concluded that before applying compomer material on Biodentine®, a waiting period of at least 24 h can be useful to obtain high SBS values. It may be suggested that sufficient bonding performance may also be obtained without an acid etching procedure, as universal adhesive systems applied on Biodentine® show similar bond values in SE and ER modes. In this way, ease of use is provided for particularly uncooperative pediatric patients by the reduced number of procedure steps, and the risk of contamination with saliva is also reduced. We thank Dr. Jon Wagner for his contribution in language editing. This study is supported by CÜBAP (DİŞ-142). This study has started to work after the approval of ethics committee, Faculty of Medicine, Cumhuriyet University Faculty of Medicine Clinical Research and Ethics Committee (2014-03/16). 1. Asgary S, Eghbal MJ. Treatment outcomes of pulpotomy in permanent molars with irreversible pulpitis using biomaterials: a multi-center randomized controlled trial. Acta Odontol Scand 2013;71:130-6. 2. Eghbal MJ, Asgary S, Baglue RA, Parirokh M, Ghoddusi J. MTA pulpotomy of human permanent molars with irreversible pulpitis. Aust Endod J 2009;35:4-8. 3. Antunes Bortoluzzi E, Juárez Broon N, Antonio Hungaro Duarte M, de Oliveira Demarchi AC, Monteiro Bramante C. The use of a setting accelerator and its effect on pH and calcium ion release of mineral trioxide aggregate and white Portland cement. J Endod 2006;32:1194-7. 4. Camilleri J. Investigation of Biodentine as dentine replacement material. J Dent 2013;41:600-10. 5. Bortoluzzi EA, Broon NJ, Bramante CM, Felippe WT, Tanomaru Filho M, Esberard RM. The influence of calcium chloride on the setting time, solubility, disintegration, and pH of mineral trioxide aggregate and white Portland cement with a radiopacifier. J Endod 2009;35:550-4. 6. Grech L, Mallia B, Camilleri J. Investigation of the physical properties of tricalcium silicate cement-based root-end filling materials. Dent Mater 2013;29:e20-8. 7. Nowicka A, Lipski M, Parafiniuk M, Sporniak-Tutak K, Lichota D, Kosierkiewicz A, Kaczmarek W, Buczkowska-Radlińska J. Response of human dental pulp capped with biodentine and mineral trioxide aggregate. J Endod 2013;39:743-7. 8. Shayegan A, Jurysta C, Atash R, Petein M, Abbeele AV. Biodentine used as a pulp-capping agent in primary pig teeth. Pediatr Dent 2012;34:e202-8. 9. Laurent P, Aubut V, About I. 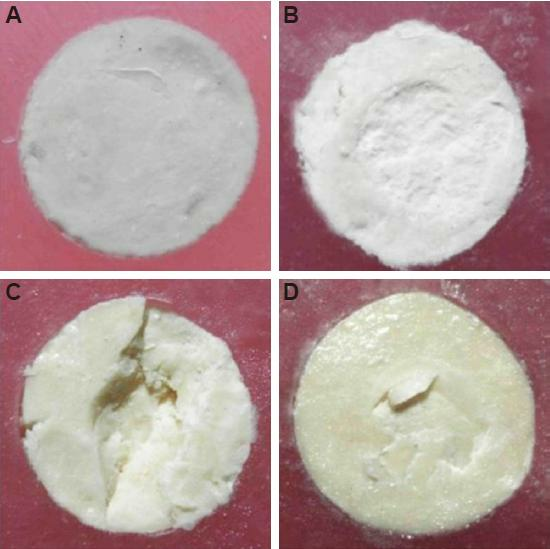 Development of a bioactive Ca3SiO5 based posterior restorative material (Biodentine™). Biocompatibility or cytotoxic effects of dental composites. Oxford: Coxmoor; 2009. pp. 195-200. 10. Oskoee SS, Kimyai S, Bahari M, Motahari P, Eghbal MJ, Asgary S. Comparison of shear bond strength of calcium-enriched mixture cement and mineral trioxide aggregate to composite resin. J Contemp Dent Pract 2011;12:457-62. 11. Van Meerbeek B, De Munck J, Yoshida Y, Inoue S, Vargas M, Vijay P, Van Landuyt K, Lambrechts P, Vanherle G. Buonocore memorial lecture. Adhesion to enamel and dentin: current status and future challenges. Oper Dent 2003;28:215-35. 12. Van Meerbeek B, Yoshihara K, Yoshida Y, Mine A, De Munck J, Van Landuyt KL. State of the art of self-etch adhesives. Dent Mater 2011;27:17-28. 13. Perdigão J, Muñoz MA, Sezinando A, Luque-Martinez IV, Staichak R, Reis A, Loguercio AD. Immediate adhesive properties to dentin and enamel of a universal adhesive associated with a hydrophobic resin coat. Oper Dent 2014;39:489-99. 14. Croll TP. Simplified resin-based composite sealant. ASDC J Dent Child 2000;67:182-5. 15. Shimada Y, Senawongse P, Harnirattisai C, Burrow MF, Nakaoki Y, Tagami J. Bond strength of two adhesive systems to primary and permanent enamel. Oper Dent 2002;27:403-9. 16. Hanabusa M, Mine A, Kuboki T, Momoi Y, Van Ende A, Van Meerbeek B, De Munck J. Bonding effectiveness of a new 'multi-mode' adhesive to enamel and dentine. J Dent 2012;40:475-84. 17. Marchesi G, Frassetto A, Mazzoni A, Apolonio F, Diolosà M, Cadenaro M, Di Lenarda R, Pashley DH, Tay F, Breschi L. Adhesive performance of a multi-mode adhesive system: 1-year in vitro study. J Dent 2014;42:603-12. 18. Setbon HM, Devaux J, Iserentant A, Leloup G, Leprince JG. Influence of composition on setting kinetics of new injectable and/or fast setting tricalcium silicate cements. Dent Mater 2014;30:1291-303. 19. Laurent P, Camps J, De Méo M, Déjou J, About I. Induction of specific cell responses to a Ca(3)SiO(5)-based posterior restorative material. Dent Mater 2008;24:1486-94. 20. Kayahan MB, Nekoofar MH, McCann A, Sunay H, Kaptan RF, Meraji N, Dummer PM. 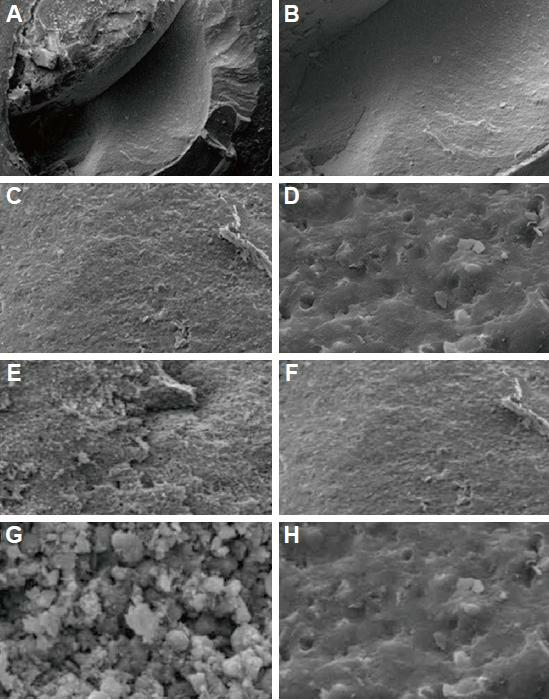 Effect of acid etching procedures on the compressive strength of 4 calcium silicate-based endodontic cements. J Endod 2013;39:1646-8. 21. Rathinam E, Rajasekharan S, Chitturi RT, Declercq H, Martens L, De Coster P. Gene expression profiling and molecular signaling of various cells in response to tricalcium silicate cements: a systematic review. J Endod 2016;42:1713-25. 22. Dawood AE, Manton DJ, Parashos P, Wong R, Palamara J, Stanton DP, Reynolds EC. The physical properties and ion release of CPP-ACP-modified calcium silicate-based cements. Aust Dent J 2015;60:434-44. 23. Jang YE, Lee BN, Koh JT, Park YJ, Joo NE, Chang HS, Hwang IN, Oh WM, Hwang YC. Cytotoxicity and physical properties of tricalcium silicate-based endodontic materials. Restor Dent Endod 2014;39:89-94. 24. Odabaş ME, Bani M, Tirali RE. Shear bond strengths of different adhesive systems to biodentine. Scient World J 2013;2013:626103. 25. Hashem DF, Foxton R, Manoharan A, Watson TF, Banerjee A. The physical characteristics of resin composite-calcium silicate interface as part of a layered/laminate adhesive restoration. Dent Mater 2014;30:343-9. 26. Kaup M, Dammann CH, Schafer E, Dammaschke T. Shear bond strength of Biodentine, ProRoot MTA, glass ionomer cement and composite resin on human dentine ex vivo. Head Face Med 2015;11:14. 27. Atabek D, Sillelioglu H, Olmez A. Bond strength of adhesive systems to mineral trioxide aggregate with different time intervals. J Endod 2012;38:1288-92. 28. Altunsoy M, Tanriver M, Ok E, Kucukyilmaz E. Shear bond strength of a self-adhering flowable composite and a flowable base composite to mineral trioxide aggregate, calcium-enriched mixture cement, and Biodentine. J Endod 2015;41:1691-5. 29. Duarte Pde B, da Silva EM. Nanoleakage phenomenon on deproteinized human dentin. J Appl Oral Sci 2007;15:285-91. 30. Chen C, Niu LN, Xie H, Zhang ZY, Zhou LQ, Jiao K, Chen JH, Pashley DH, Tay FR. Bonding of universal adhesives to dentine--old wine in new bottles? J Dent 2015;43:525-36. 31. el-Kalla IH, Garcia-Godoy F. Bond strength and interfacial micromorphology of compomers in primary and permanent teeth. Int J Paediatr Dent 1998;8:103-14.